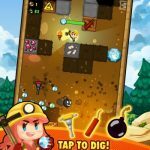 Pocket Mine 2 is the sequel to the original Pocket Mine, a game that has players tapping blocks and digging deeper, finding equipment, cards, treasure and other items along the way. Truth be told, it isn’t that different from the original title, but this iOS game is quite an addictive one, a combination of exploration and card building, with the requisite character customization options. 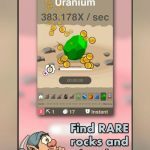 If you’re having trouble with certain levels or seemingly running in place in this game, we’ve got just the article for you – a collection of Pocket Mine 2 cheats, tips and tricks for anyone stuck at any given level. 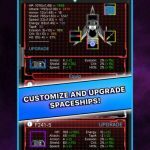 Each time you have an opportunity to upgrade your pick, we advise you to do it, and be rest assured, you will have a lot of chances in the game. In conjunction with this, it doesn’t hurt too much if you’re stuck on a level, as replaying it repeatedly will give you enough money, thus allowing you to afford pick upgrades. The moment you have a chance to fuse your cards, go for it. You’ll want to prioritize this in Pocket Mine 2, as harder levels will have you playing with random cards, and not the ones that you select as your default options. Fusing cards can improve your deck greatly and improve your chances of completing levels. In Pocket Mine 2, your goal in the main missions should always be going as low as possible. As you move lower, that brings you closer to your mission goals, while opening things up for better rewards and better blocks. In other words, you want to focus on going down, and doing so as quickly as you can. Aside from your custom Loadout cards, you can also build your deck through random card assignments. This may sound like a gamble, but if you reshuffle your cards, there’s a solid chance you may get a better hand if you aren’t satisfied the first time around. You can level up very fast in this game, and with that in mind, the experience meter may be your best friend in certain situations. If you have extra energy, feel free to use your custom loadout, provided you know that you’re about to level up and get your energy refilled. Bonus missions are, in essence, optional in this game, but completing them would only do you a world of good. 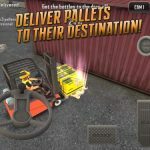 In fact, it may be a better idea at times to focus on the bonus missions as opposed to the primary ones, as they can sometimes give you more rewards, and better ones at that. Getting your hands on this weapon would allow you to create the most explosive blast – this is another tool you can use to complete those difficult stages.